We have selected the best prices to make this kit only from our premium OE suppliers, all filters will meet OE specifications and will be accepted for manufacturer or used car warranty purposes. Doing this we save you the trouble of looking at each individual item and deciding what is best value without compromising quality. 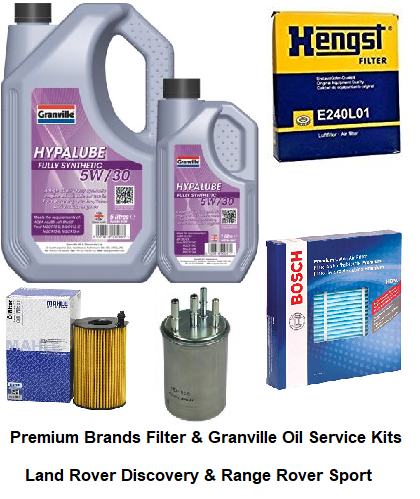 We also add the correct amount and specification of Granville oil with this kit. Our filter brands in these kits will only include products from Mahle, Hengst, Bosch, Delphi & the OE Stanadyne (Clarcor) for some diesel models.